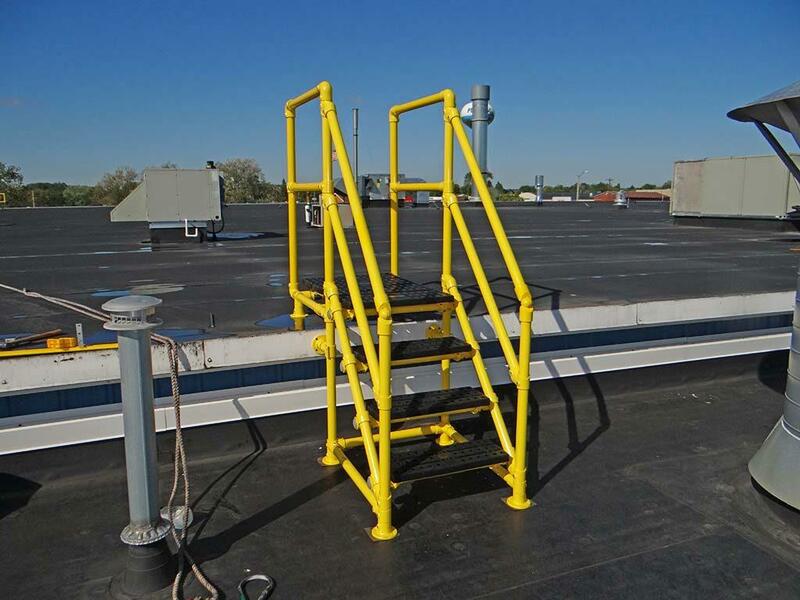 Crossover platforms help prevent injuries by providing an OSHA complaint staircase and platform to safely navigate over any obstruction. A hot topic of discussion surrounding the last OSHA Walking/Working surface regulation update has been about preventing workplace slips, trips, and falls. 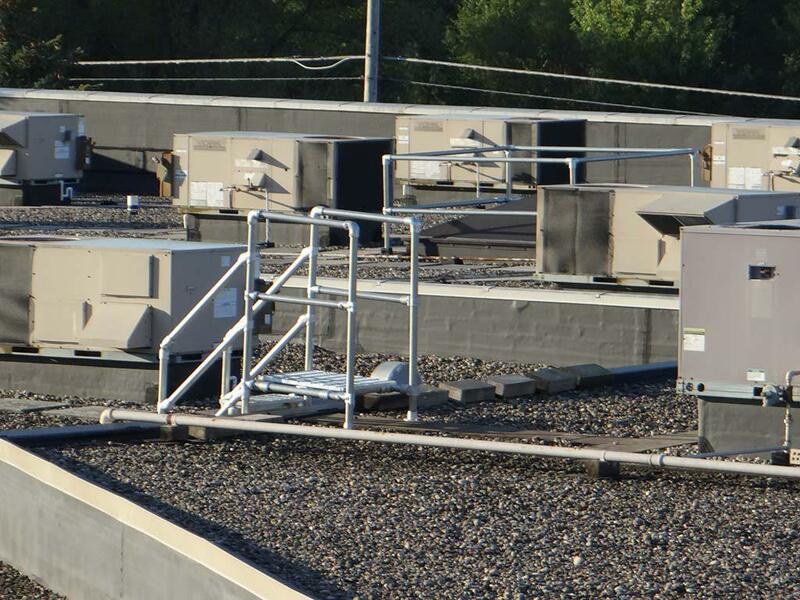 Sesco Safety provides customizable crossover platform options that address ground and rooftop obstructions to keep your employees safe. 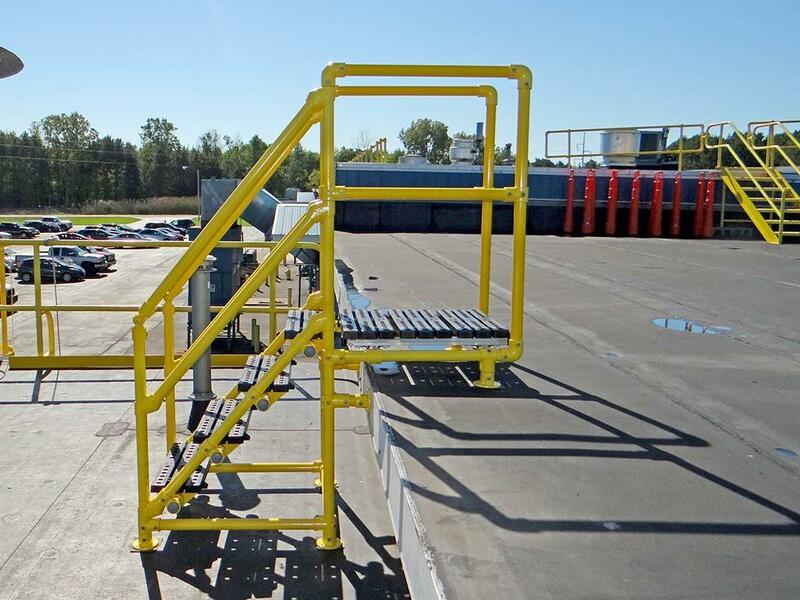 Crossover platforms help prevent injuries by providing an OSHA complaint staircase and platform to safely navigate over any obstruction. This equipment will eliminate the need for your employees to crawl over or under obstructions while performing their job duties. 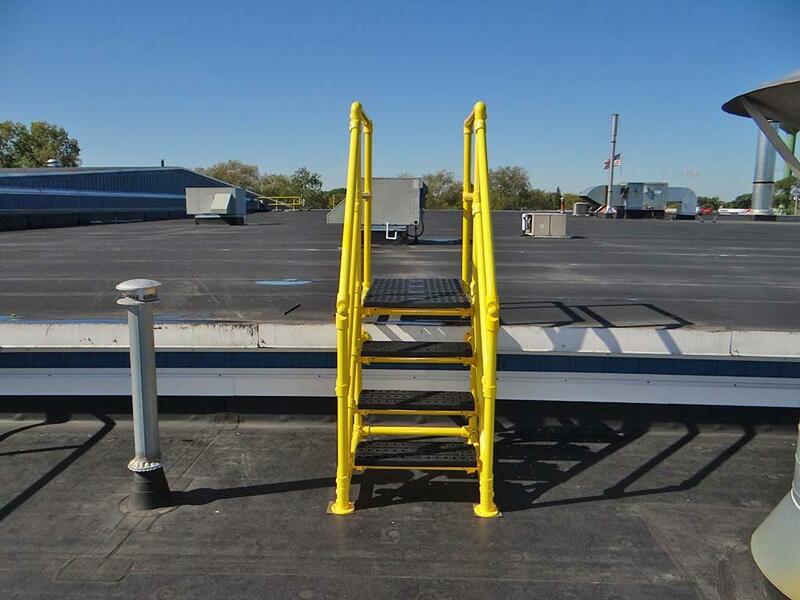 Our customizable crossover platforms can be powder coated and designed to fit in most areas and is a complementary system to existing guardrail, hatch, and skylight protection.